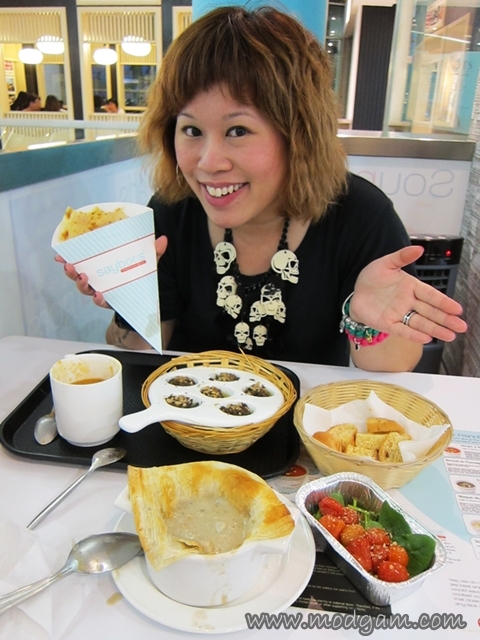 Feeling French and escargots, Bud and I decided today is French food day and so we decided to head to Saybons! You know how one always have the misconceptions about French food being expensive and incredibly gibberish clueless French filled menu?? You don’t have to worry about that at Saybons! 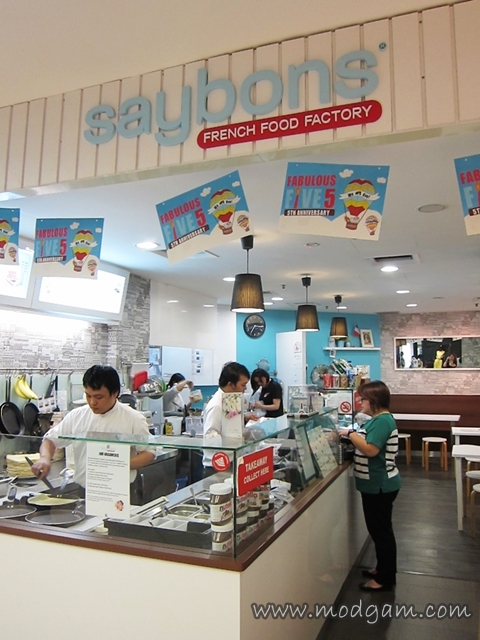 Infact, anyone and everyone who wants to try an affordable, fuss-free, menu friendly French food should head to Saybons! 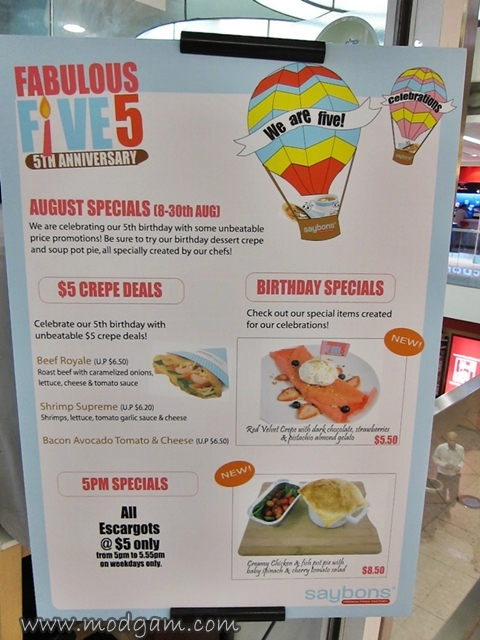 To celebrate their big 5 birthday, they are having some $5 promotion from now till 30th Aug 2012. 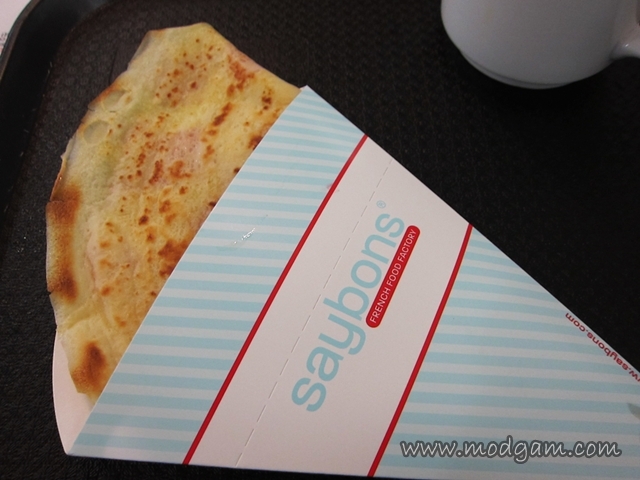 Saybons is inspired from the French phrase- C’est Bon which means ‘it’s good’ in French. To make it a little easier and unique, we anglicized the phrase and added a ‘s’ at the back. Most people should be able to pronounce this one we guess. 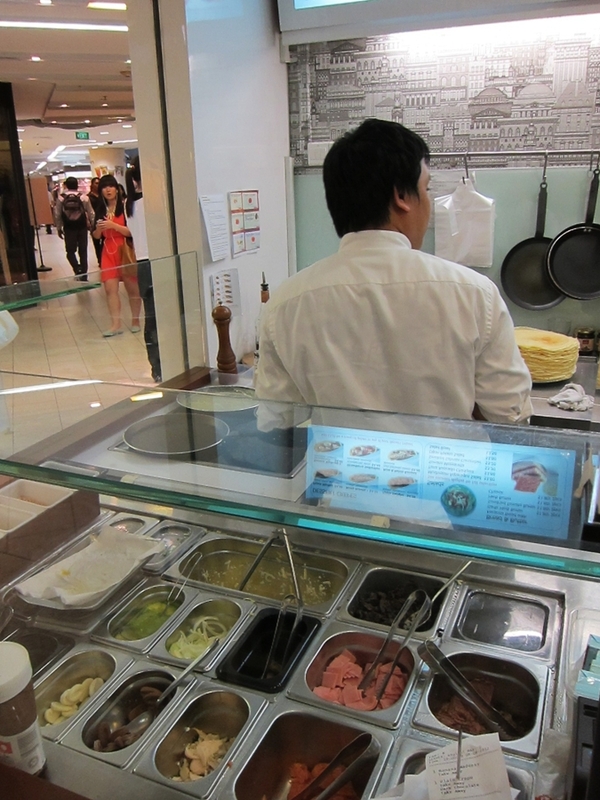 We started Saybons with the objective of making French food affordable and accessible to everyone. 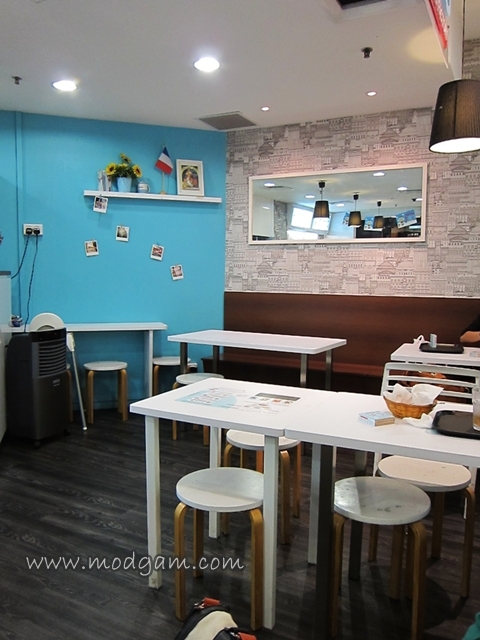 No more exorbitant ‘ambience charges’ nor 3-hour course-after-course dinners. Using the freshest of food ingredients, classical French culinary techniques, and a collection of fresh insights, we bring French food to you in a way not seen very much in this part of the world. We have packed the goodness of French food into convenient takeaways, one that allows you to enjoy on the go, in your office or in the comforts of our cafes. We hope everyone in this time-pressed world can enjoy French goodness without fuss. We plan to gradually introduce more French classics in time to come. Of course, we will keep to our plan of bringing the goodness of authentic French food to you in the most fuss-free manner. 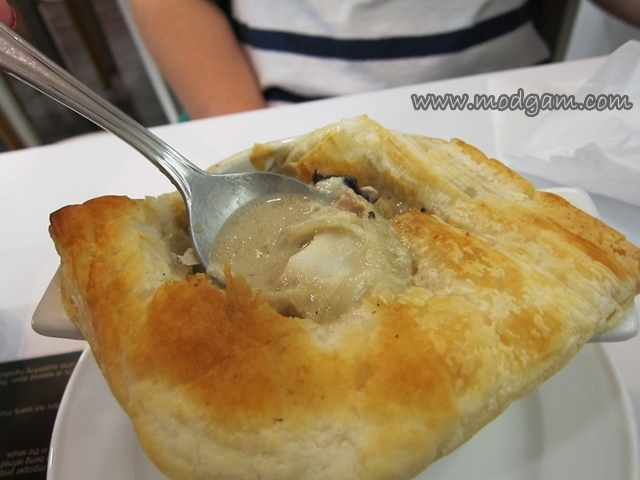 seafood bisque S$4.80 – thick and so very tasty! its been quite a while since I last tasted one that is as good as this! 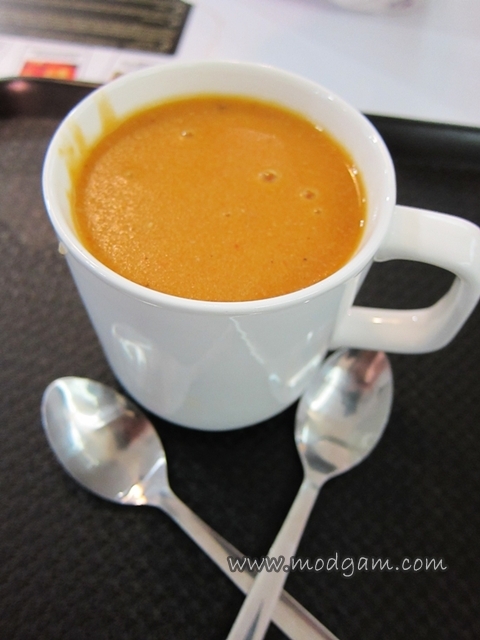 Drink the soup from the cup, just stir and sip away! 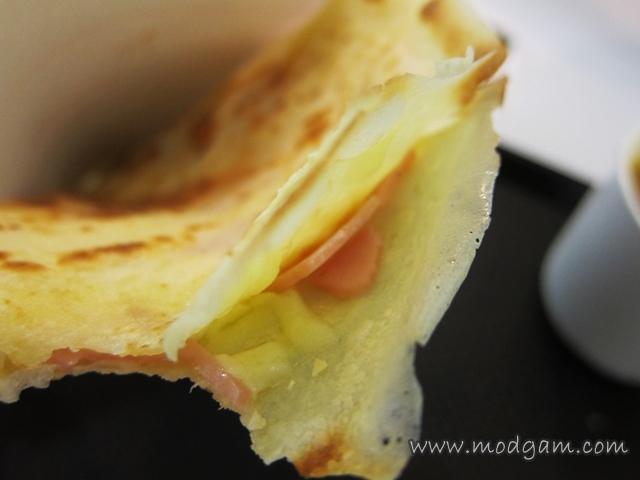 ham and cheese crepe S$4.60 – love it! My favorite ingredients come together! 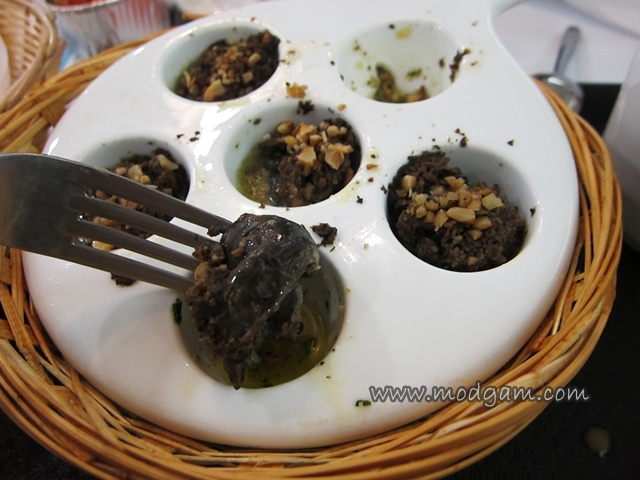 Mushroom Duxelle Escargot S$9.50 – thick, fresh and absolutely juicy! 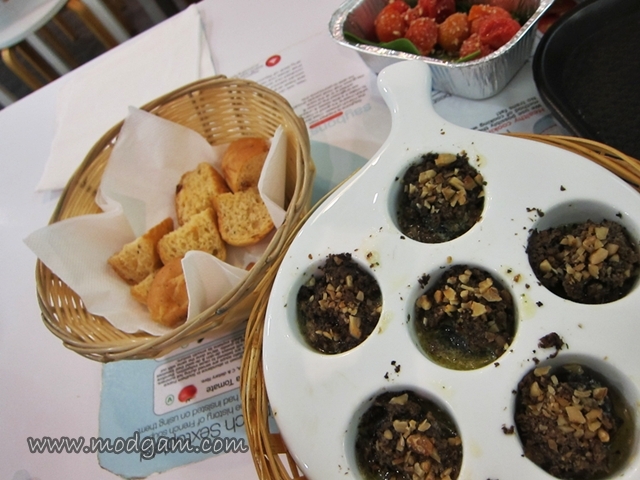 Did i mention bread is served along with each order of escargot? 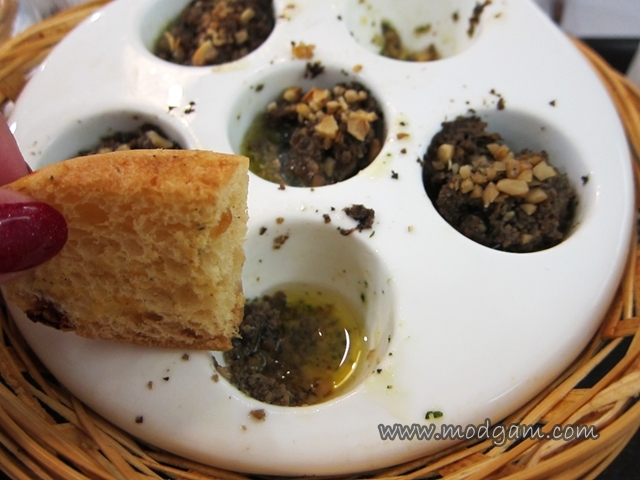 Don’t waste the yummy olive oil and dip your bread in them! 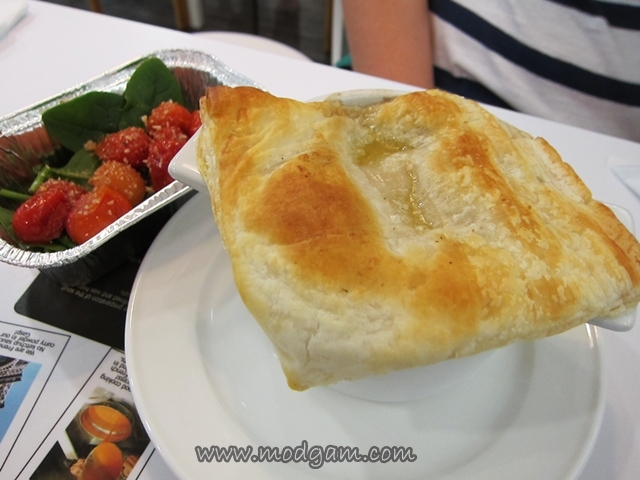 Creamy Chicken and Fish pot pie S$8.50 – I should have dug deeper, all the big chunks of fish and chicken meat are at the bottom! Very very generous servings. Avoir for now Saybons. I will be coming back for more! you should krystal! the food is really yummy!